Enjoy a comfortably luxurious queen room with accessibility. Featuring a queen bed with cozy bedding, this vaulted ceiling room designed with greater clearance around furnishings offers industrial, farm-house furniture and local artwork. 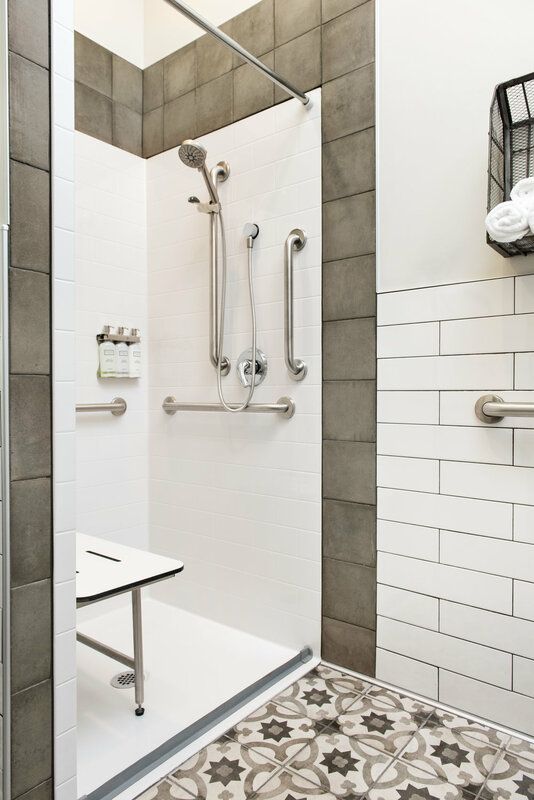 This room includes a roll-in shower with folding bench. Be sure to take in the beautiful views of Huntsville Park with the surrounding Wasatch Mountains from your window. Book your stay now. We can’t wait to meet you.